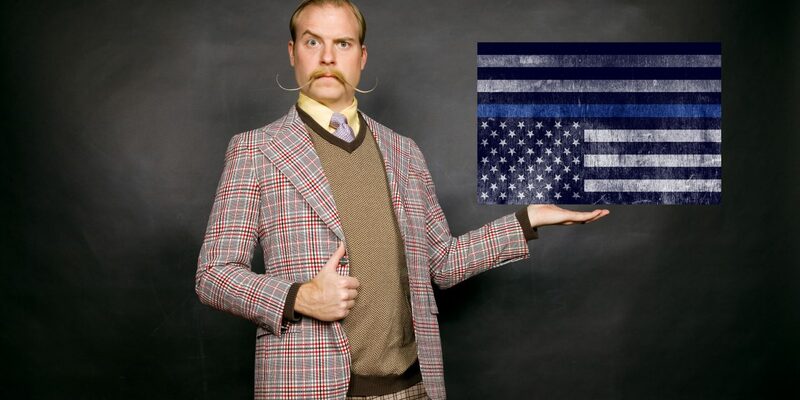 You often hear about the indoctrination of progressive, socialist, and anti-police agendas in academia. This is an unfortunate reality as professors, teachers, and those in power seek to influence the next generation with their own beliefs, views, and expectations for the future. What’s unacceptable is when academia relies on false, made up data, disguised as science based quantitive research, that when one dives into such, can see the bias and outright lies that is the founding base for the data itself. Case in point; most recently a law-enforcement officer was taking his daughter to the State University of New York New Paltz campus. While visiting their admissions and welcome center,a perspective students first impression of a college, there was a stack of fliers that happened to catch his eye. 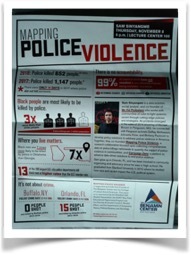 The flyer was titled “mapping of police violence” by an organization mappingpoliceviolence.org. The organization was being hosted by the campus, and sponsored by the Friends of the Benjamin Center and College of liberal arts and sciences, as well as co-sponsored by The Resident Hall, the SUNY New Paltz Education Opportunity Program, The Diversity and Inclusion Council, Student Affairs, and finally the Department of Geography,History, Political Science, and Sociology, this past November. 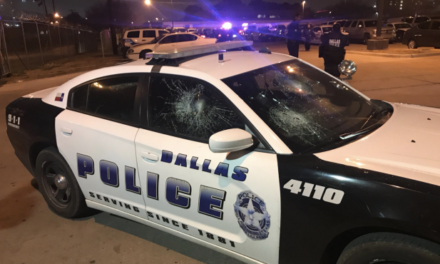 The flyer goes on to list shocking statistics of police use of deadly force across the nation that paints a dire picture for police community relations, especially when it comes to communities of color. The only thing is, the data on the flyer is misleading, purposely omitting key data points, and inaccurate. The flyer goes on to state that in 2017- 1147 persons were killed by police. 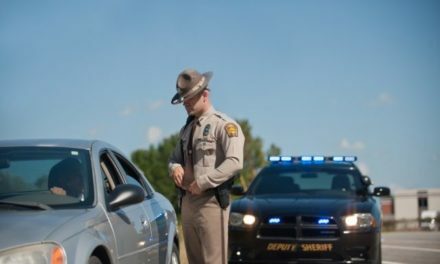 It adds that a black person is 3X more likely to be shot by police than a white person, and even attempts to state that police discriminate based on ones geographical area stating that you are seven times more likely to be shot in Oklahoma then in Georgia. As someone who deals in these statistics on a daily basis, something didn’t seem right, so I did what any prudent individual would do, checked my own data then looked further into the flyer and the organization in which authored it. As it turns out, the data which they state as fact was obtained from themselves as noted on the flyer. They go on to state that they believe their website to be the most in-depth database of police deadly use of force known. But when I research the metrics used, and what they consider police deadly use of force, and define what an unarmed person to be, their motive becomes clear. It’s simply to defame our nation’s law enforcement. Police Killing: A case where a person dies as a result of being chased, beaten, arrested, restrained, shot, pepper sprayed, tasered, or otherwise harmed by police officers, whether on-duty or off-duty, intentional or accidental. Now when we take into consideration on what we know about the above organizations data metrics and how they come to their numbers, let’s compare such to the actual numbers in regards to the national police deadly use the force data for 2017. In 2017, Police Deadly Use of force was used against 987 subjects (not 1147). Take note that unlike the above flier, black subjects are not 3x more likely to be shot than white suspects. 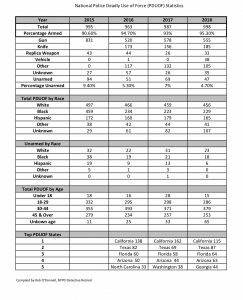 But MappingPoliceViolence’s attempts to distort and justify this fact by stating “blacks are only 13% of the population”, keenly omitting that as per the FBI UCR (Uniform Crime Report), black subjects account for 54% of total violent crime in America. By the way, their victims are also overwhelmingly black. That debunks the false narrative that police use deadly force more on black than white subjects. When the above data is factored in, police use deadly force over two times more on white subjects when related to crime, but that doesn’t sell speaking tours now does it? The fact that our institutions of higher learning, a state university no less, allows un-vetted, skewed data, which manipulates the facts to create nothing less then distrust and division, should not be tolerated to the taxpayers who fund them or the people who spend hard earned money to send their young adults for a fact based education. 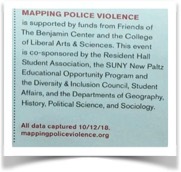 In the end, and for good reason, the presence of this flyer was unacceptable to the police officer and his college bound daughter who was visiting and looking to make SUNY New Paltz a home for the next four years. Needless to say, they won’t be back. 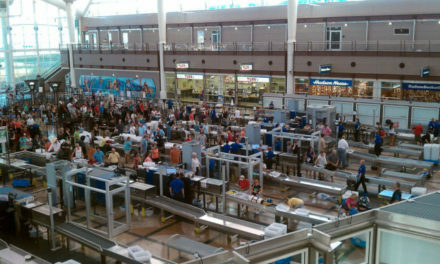 PreviousCan We Improve Our Hiring Processes? Rob O’Donnell began his career as a NYC Transit cop merging into the NYPD in 1995. 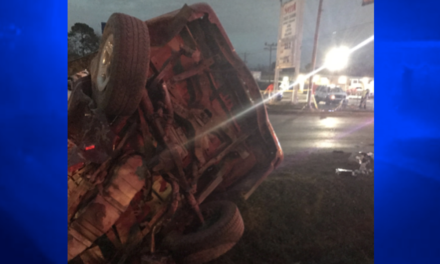 Rob was promoted to Police Officer Special Assignment in 1997, and then to Detective in 2000 where he worked for the departments Organized Crime Control Bureau, Precinct Detective Squad, retiring out of one of the departments Homicide task forces in 2004. During his career, Rob had been involved with both the 93 World Trade Center Bombing response/rescue, as well as response/recovery on September 11th. 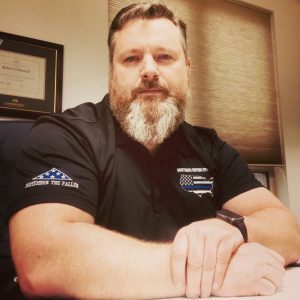 After retiring due to injuries sustained in the line of duty, Rob was also involved with the identification and investigation of the Fort Dix terror plot suspects in 2007 where he now calls home in Pennsylvania. He currently sits as Director of Business and Media Relations with Brothers Before Others.